Wings over Illinois recounts World War II veteran Arthur Abney’s illustrious aviation career, effectively documenting a span in our own nation’s history from the vantage of the skies. 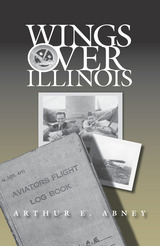 Abney describes a lifetime of experience, from his time as an eager young pilot with the Flying Egyptians to his tour of service during World War II, his years with the Illinois Department of Aeronautics, American Airlines, and the Southern Illinois University Aviation Management and Flight program. Abney introduces readers to hangar flying—exciting end-of-day flight tales told in the hangar—with sixty stories provided by military and civilian airmen from across the country. Included are such accounts as a 1943 bombing squadron assignment over Saipan in a typhoon, an engine freeze on takeoff during a solo training flight, a white-knuckle Bermuda Triangle flight, and a power failure on a homebuilt aircraft. 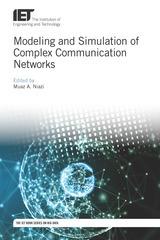 Complementing Abney’s own experiences, these stories offer insights into the split-second decision making necessary to resolve problems in the air. In this fascinating autobiography Abney takes readers on a journey through nearly seven decades of a life in aviation. At a critical, transitional moment in the history of Broadway—and, by extension, of American theatre itself—former Broadway stage manager Steven Adlerenlists insider perspectives from sixty-six practitioners and artists to chronicle the recent past and glimpse the near future of the Great White Way. From marquee names to behind-the-scenes power brokers, Adler has assembled a distinctly knowledgeable cast of theatre’s elite, including Stephen Sondheim, Arthur Laurents, Des McAnuff, Frank Rich, Robin Wagner, Rocco Landesman, Robert Longbottom, Todd Haimes, Bernard Gersten, and Alan Eisenberg. On Broadway: Art and Commerce on the Great White Way spotlights the differing vantage points of performers, artists, writers, managers, producers, critics, lawyers, theatre owners, union leaders, city planners, and other influential players. Each details his or her firsthand account of the creative and economic forces that have wrought extraordinary changes in the way Broadway theatre is conceived, produced, marketed, and executed. Once the paramount site of American theatre, Broadway today is becoming a tourist-driven, family-friendly, middle-class entertainment oasis in Midtown, an enterprise inextricably bound to the larger mosaic of national and international professional theatre. 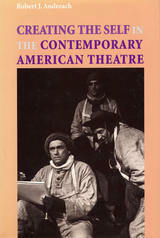 Accounting for this transformation and presaging Broadway’s identity for the twenty-first century, Adler and his interviewees assess the impact of the advent of corporate producers, the ascendance of not-for-profit theatres on Broadway, and the growing interdependence between regional and Broadway productions. Also critiqued are the important roles of the radical urban redevelopment staged in Times Square and the changing demographics and appetites of contemporary theatre audiences in New York and around the globe. Actors and administrators, performers and producers, theatre students and theatregoers will all benefit from the perceptive insights in this authoritative account of theatre making for the new millennium. 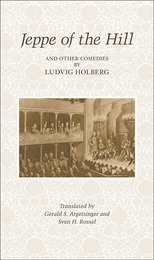 Steven Adler examines the dynamic life and workings of the theatre company responsible for some of the world’s most compelling performances and influential productions of the last forty years, including Marat/Sade, A Midsummer Night’s Dream, Les Misérables, Les Liaisons Dangereuses, and Nicholas Nickleby. Rough Magic provides a thorough analysis of the many strands of theatrical activity on both sides of the footlights that coalesce in the artistic vigor of the Royal Shakespeare Company. Adler traces the company’s evolution from its origins in 1879 as a week-long festival presented by Stratford-upon-Avon as a birthday homage to its native son, to its current incarnation as one of the world’s most distinguished institutional theatres. He probes the aspirations and achievements of the RSC’s four successive artistic directors: Peter Hall, Trevor Nunn, Terry Hands, and Adrian Noble. He offers a comprehensive view of the design and aesthetics of the RSC’s five theatres in Stratford and London, and explores the intricate process of crafting a repertoire at home and on tour that responds to the needs of the artists as well as the demands of the box office. Vivid illustrations, personal observation, research, and dozens of interviews with current and former members of the Royal Shakespeare Company unite to produce Rough Magic. Drawing on the theoretical work of Jacques Lacan, Marshall W. Alcorn Jr. formulates a systematic explanation of the function and value of desire in writing instruction. Alcorn argues that in changing the subject matter of writing instruction in order to change student opinions, composition instructors have come to adopt an insufficiently complex understanding of subjectivity. This oversimplification hinders attempts to foster cultural change. Alcorn proposes an alternative mode of instruction that makes effective use of students’ knowledge and desire. The resulting freedom in expression—personal as well as political—engenders the recognition, circulation, and elaboration of desire necessary for both human communication and effective politics. 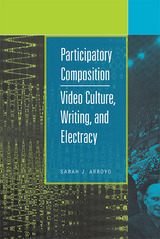 Responding to James Berlin’s reconception of praxis in the classroom, Theresa Ebert’s espousal of disciplined instructions, and Lester Faigley’s introduction of a postmodern theory of subjectivity, Alcorn follows both Lacan and Slavoj Žižek in insisting desire be given free voice and serious recognition. In composition as in politics, desire is the ground of agency. Competing expressions of desire should generate a dialectic in social-epistemic discourse that encourages enlightenment over cynicism and social development over authoritarian demands. With clarity and personal voice, Alcorn explains how discourse is rooted in primitive psychological functions of desire and responds to complex cultural needs. In its theoretical scope this book describes a new pedagogy that links thought to emotion and the personal to the social. Collected and translated by Carolyn Alessio, this bilingual anthology of poems, stories, memories, and philosophies was written and illustrated by the children of La Esperanza, Guatemala. Drawing upon the fortitude of their mothers, who began hand-sewing crafts to sell in the United States in order to survive the hardships of this war-torn impoverished country, Alessio’s students, aged four to sixteen, reveal amazing survival skills, fertile imaginations, and dreams of attaining better lives. The resulting work is a collection of poems and drawings that are terse, funny, sometimes sad, but always humanly, gloriously alive. The volume features a foreword from Luis Alberto Urrea,author of Across the Wire: Life and Hard Times on the Mexican Border and By the Lake of Sleeping Children: The Secret Life of the Mexican Border. The Civil War has historically been viewed somewhat simplistically as a battle between the North and the South. Southern historians have broadened this viewpoint by revealing the “many Souths” that made up the Confederacy, but the “North” has remained largely undifferentiated as a geopolitical term. In this welcome collection, seven Civil War scholars offer a unique regional perspective on the Civil War by examining how a specific group of Northerners—Midwesterners, known as Westerners and Middle Westerners during the 1860s—experienced the war on the home front. 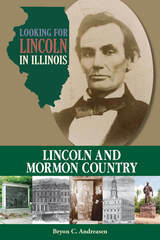 Much of the intensifying political and ideological turmoil of the 1850s played out in the Midwest and instilled in its people a powerful sense of connection to this important drama. The 1850 federal Fugitive Slave Law and highly visible efforts to recapture former bondsmen and women who had escaped; underground railroad “stations” and supporters throughout the region; publication of Ohioan Harriet Beecher Stowe’s widely-influential and best-selling Uncle Tom’s Cabin; the controversial Kansas-Nebraska Act of 1854; the murderous abolitionist John Brown, who gained notoriety and hero status attacking proslavery advocates in Kansas; the emergence of the Republican Party and Illinoisan Abraham Lincoln—all placed the Midwest at the center of the rising sectional tensions. From the exploitation of Confederate prisoners in Ohio to wartime college enrollment in Michigan, these essays reveal how Midwestern men, women, families, and communities became engaged in myriad war-related activities and support. Agriculture figures prominently in the collection, with several scholars examining the agricultural power of the region and the impact of the war on farming, farm families, and farm women. Contributors also consider student debates and reactions to questions of patriotism, the effect of the war on military families’ relationships, issues of women’s loyalty and deference to male authority, as well as the treatment of political dissent and dissenters. 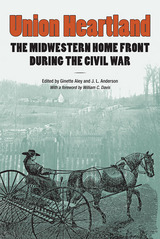 Bringing together an assortment of home front topics from a variety of fresh perspectives, this collection offers a view of the Civil War that is unabashedly Midwestern. In this study of Miles Poindexter, Insurgent Republican turned conservative, Howard W. Allen reaches beyond the traditional bounds of biography to present a history of the United States Congress during the Progressive era and the early years after World War I. A congressman (1909–13)and a senator (1913–23), Miles Poindexter of Washington State was an outspoken, progressive reformer before World War I. He struggled to protect “the people” from “special interests,” particularly defending the in­terest of his section against eastern “colonialism.” A man with a penchant for absolute positions, Poindexter became caught up in the emotionalism of the Insurgent Republican revolt. At one time or another he championed Socialists, the IWW, the strik­ing textile workers in Lawrence, Massachusetts—all unlikely causes for a middle-class lawyer from Spokane. Regarding foreign policy, Poindexter was an uncompromis­ing nationalist who, with Theodore Roosevelt, declared himself a member of the Progressive party in 1912. After 1917 Poindexter actively tried to suppress opponents of the war. Following the war his targets were “Bolshevists” and other radicals. He also developed intense hostility toward So­cialists, the IWW, and organized labor, fearing radicalism and labor. Reversing his former position, he allied himself with the eastern businessmen and regular Republicans in the Senate. Campaigning for the presidency in 1920, he appealed without success to the most conservative members of the party. He was defeated b a progressive Democrat in his 1922 bid for reelection to the Senate. Allen examines the traditional sources—archival collections, newspaper files, and congressional reports. When he combines this material with a quantitative analysis of roll-call votes throughout Senator Poindexter’s years in Congress, he creates a remarkably useful method never before attempted in political biography. Originally published to glowing reviews and literary prizes in France in 1985, this revealing diary not only recounts the moving and tragic relationship of its author, Geneviève Bréton, with the rising young nineteenth-century artist Henri Regnault, it also serves as a valuable historical document concerning the social, cultural, and political life of the French Second Empire. The young Geneviève Bréton began her journal in 1867 as a consolation for the death of her eldest brother, Antoine. She met Regnault soon after on a trip to Rome. Throughout the next four years of their relationship, Bréton eloquently describes the personal, cultural, and political turbulence that affected her life. Writing against the backdrop of France’s fateful conflict with Prussia and the hardships and dangers of the siege of Paris and the Commune, Bréton, with innate candor and lyricism, creates a text that beautifully illuminates French art, literature, family life, society, and politics of the time. Her poignant account of her love for and engagement to Regnault reveals special insight into the life and mind of an extraordinary, though little known, literary talent. At Regnault’s death in 1871 during the Franco–Prussian War, the expression of her anguish is as much testimony to the political and cultural disorder of the time as it is to her own personal tragedy. Following Bréton’s own instructions that she left before her death in 1918, this English version of the diary reincorporates material that was deleted from the French edition. Graced by rare photographs of the Bréton family as well as Regnault’s paintings, the book contains a touching foreword by the author’s granddaughter, Daphné Doublet-Vaudoyer. In its first English translation, it is a book for lovers of French life and culture, as well as students of French history; literature, and art. In this collection of articles describing the people, places, and folkways of southern Illinois, John W. Allen provides entertaining and informative glimpses into the region’ s past. 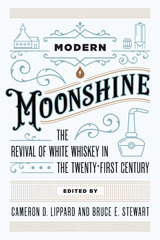 Included here are sketches of the early pioneering days when wolves were literally chased from the door, stories about the many Indian artifacts discovered among the rolling hills and valleys of the area, and articles pertaining to the strategic role the region played during the Civil War. Allen also describes the activities of such infamous outlaws as Samuel Mason and the Harpe brothers as well as the famous Illinois-born heroes “ Bat” Masterson, “ Wild Bill” Hickok, and Wyatt Earp. In the 1950s and ‘60s, John W. Allen told the people of southern Illinois about themselves—about their region, its history, and its folkways—in his series of newspaper articles, “It Happened in Southern Illinois.” Each installment of the series depicted a single item of interest—a town, a building, an enterprise, a person, an event, a custom. 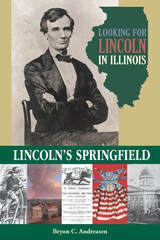 Originally published in 1963, Legends & Lore of Southern Illinois brings together a selection of these articles preserving a valuable body of significant local history and cultural lore. During territorial times and early statehood, southern Illinois was the most populous and most influential part of the state. But the advent of the steamboat and the building of the National Road made the lands to the west and north more easily accessible, and the later settlers struck out for the more expansive and fertile prairies. The effect of this movement was to isolate that section of the state known as Egypt and halt its development, creating what Allen termed “an historical eddy.” Bypassed as it was by the main current of westward expansion and economic growth, its culture changed very slowly. Methods, practices, and the tools of the pioneer continued in use for a long time. The improved highways and better means of communication of the twentieth century brought a marked change upon the region, and daily life no longer differed materially from that of other areas. Against such a cultural and historical backdrop, Mr. Allen wrote these sketches of the people of southern Illinois—of their folkways and beliefs, their endeavors, successes, failures, and tragedies, and of the land to which they came. There are stories here of slaves and their masters, criminals, wandering peddlers, politicians, law courts and vigilantes, and of boat races on the rivers. Allen also looks at the region’s earlier history, describing American Indian ruins, monuments, and artifacts as well as the native population’s encounters with European settlers. Many of the vestiges of the region’s past culture have all but disappeared, surviving only in museums and in the written record. This new paperback edition of Legends & Lore of Southern Illinois brings that past culture to life again in Allen’s descriptive, engaging style. From the mortal maidens of 1817 to the omnipotent goddesses of 1819, Keats uses successive female characters as symbols portraying the salvation and destruction, the passion and fear that the imagination elicits. Karla Alwes traces the change in these female figures—multidimensional and mysteriously protean—and shows that they do more than comprise a symbol of the female as a romantic lover. They are the gauge of Keats’s search for identity. As Keats’s poetry changes with experience, from celebration to denial of the earth, the females change from meek to threatening to a final maternal and conciliatory figure. Keats consistently maintained a strict dichotomy between the flesh-and-blood women he referred to in his letters and the created females of his poetry, in the same way that he rigorously sought to abandon the real for the ideal in his poetry. In her study of Keats’s poetry, Alwes dramatizes the poet’s struggle to come to terms with his two consummate ideals—women and poetry. 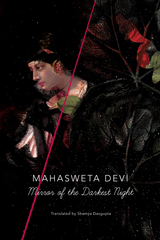 She demonstrates how his female characters, serving as lovers, guides, and nemeses to the male heroes of the poems, embody not only the hope but also the disappointment that the poet discovers as he strives to reconcile feminine and masculine creativity. Alwes also shows how the myths of Apollo, which Keats integrated into his poetry as early as February 1815, point up his contradictory need for, yet fear of, the feminine. She argues that Keats’s attempt to overcome this fear, impossible to do by concentrating solely on Apollo as a metaphor for the imagination, resulted in his eventual use of maternal goddesses as poetic symbols. The goddess Moneta in "The Fall of Hyperion" reclaims the power of the maternal earth to represent the final stage in the development of the female. In combining the wisdom of the Apollonian realm with the compassion of the feminine earth, Moneta is more powerful than Apollo and able to show the poet who does not recognize both realms that he is only a "dreamer," one who "venoms all his days, / Bearing more woe than all his sins deserve." Because of Moneta’s admonishment, Keats becomes the poet capable of creating "To Autumn." In this final ode, Keats taps the transcendent power inherent in the temporal beauty of the earth. His imagination, once attempting to leave the earth, now goes beyond the Apollonian ideal into the realm of salvation—the human heart—that connects him to the earth. And because of his poetic reconciliation between heaven and earth, Keats is ultimately able to portray an earthly timelessness in which "summer has o’er-brimmed" the bees’ "clammy cells," making for "warm days [that] will never cease." As an international scholar and resident of Italy who has observed and shared the experiences of Italian women for the past twenty years, Alba Amoia has positioned herself perfectly to report to English-speaking audiences the great range and variety of writing produced by twentieth-century Italian women. 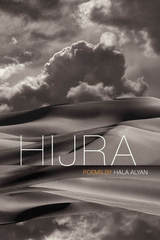 Her personal contact with many of the authors she discusses lends further immediacy to her study. Rather than focusing exclusively on contemporary living authors, Amoia discusses writers from the early part of the twentieth century as well, linking them with later writers spanning twentieth-century Italy’s literary movements and political, social, and economic developments. Yet the connections and contradictions that bind and divide these women are only beginning to be established because Italy is still a splintered country in which perceptions of Italian women as a historical group have only begun to crystallize. While feminine voices resound on the Italian literary scene, only recently has feminine authority made itself felt in the professional and institutional worlds. The eleven writers in this volume criticize the female role in Italian society, externalize women’s unconscious needs, and offer unusual examples of feminine creativity. 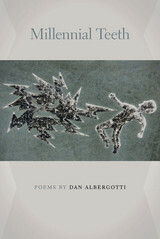 Amoia provides a critical treatment of each author, incorporating the accepted opinion of Italian and other critics. She isolates recurrent and fundamental themes in each author’s literary career: linguistic repression by males, personal frustration in the realm of "householditude," and disorientation within Italy’s unbalanced institutions and hierarchies still strongly anchored in archaic structures. Amoia begins her discussion with two illustrious predecessors of Italy’s contemporary women writers: the 1926 Nobel Prize winner Grazia Deledda and the premier literary feminist Sibilla Aleramo. Continuing in chronological order, Amoia discusses Gianna Manzini, Lalla Romano, Elsa Morante, Natalia Ginzburg, Rosetta Loy, and Dacia Maraini. Amoia concludes her exploration of Italian women writers with three journalists: Matilde Serao, Oriana Fallaci, and Camilla Cederna. 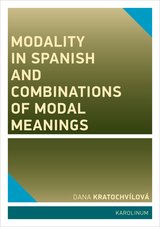 Essentially, Amoia has provided a collection of succinct and accessible monographs featuring pertinent biographical information and extensive bibliographies. She discusses each author’s most representative works, seeking to give readers both a sense of these women as writers and an understanding of their significance in the male-dominated literary scene. A case history of the only American film under court-imposed restrictions for reasons other than obscenity or national security. Titicut Follies is an excoriating depiction of conditions in the Massachusetts Correctional Institution at Bridgewater, a prison-hospital for the criminally insane. The Commonwealth of Massachusetts took Wiseman to court, seeking to prevent the exhibition of Titicut Follies soon after its release in 1967. This account of the Titicut Follies case is based on ten years of research and relies on interviews, journalistic accounts, and especially on the legal record, including the Commonwealth v. Wiseman transcript, to describe the entire process of independent documentary filmmaking. The trials of Titicut Follies raise crucial questions about the relation of social documentary to its subjects and audiences. Anderson provides the context from which Selzer’s writing grows and a concept of language adequate to his purposes and accomplishments. He takes a careful look at Selzer’s writing to demonstrate that these abstract considerations do tell us why a surgeon would write. The works Anderson examines are "Jonah and the Whale" (an important early short story) and the first three essays in Mortal Lessons. These examples show the reader exactly how the symbols of literature interact directly with the world and the everyday communications of both writer and reader. According to Anderson, Mortal Lessons is also Selzer’s most artistic statement of his own sense of why and how he became a writer. Selzer’s books include Rituals of Surgery, Mortal Lessons, Confessions of a Knife, Letters to a Young Doctor, and Taking the World in for Repairs. Applying research findings from studies in visual perception, neurophysiology, cognitive psychology, developmental psychology, and anthropology, Joseph D. Anderson defines the complex interaction of motion pictures with the human mind and organizes the relationship between film and cognitive science. Anderson’s primary argument is that motion picture viewers mentally process the projected images and sounds of a movie according to the same perceptual rules used in response to visual and aural stimuli in the world outside the theater. To process everyday events in the world, the human mind is equipped with capacities developed through millions of years of evolution. 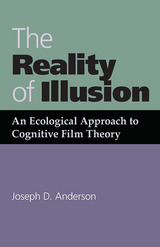 In this context, Anderson builds a metatheory influenced by the writings of J. J. and Eleanor Gibson and employs it to explore motion picture comprehension as a subset of general human comprehension and perception, focusing his ecological approach to film on the analysis of cinema’s true substance: illusion. Anderson investigates how viewers, with their mental capacities designed for survival, respond to particular aspects of filmic structure—continuity, diegesis, character development, and narrative—and examines the ways in which rules of visual and aural processing are recognized and exploited by filmmakers. He uses Orson Welles’s Citizen Kane to disassemble and redefine the contemporary concept of character identification; he addresses continuity in a shot-by-shot analysis of images from Casablanca; and he uses a wide range of research studies, such as Harry F. Harlow’s work with infant rhesus monkeys, to describe how motion pictures become a substitute or surrogate reality for an audience. By examining the human capacity for play and the inherent potential for illusion, Anderson considers the reasons viewers find movies so enthralling, so emotionally powerful, and so remarkably real. Blending unconventional film theory with nontraditional psychology to provide a radically different set of critical methods and propositions about cinema, Moving Image Theory: Ecological Considerations looks at film through its communication properties rather than its social or political implications. Drawing on the tenets of James J. Gibson’s ecological theory of visual perception, the fifteen essays and forty-one illustrations gathered here by editors Joseph D. Anderson and Barbara Fisher Anderson offer a new understanding of how moving images are seen and understood. Focusing on a more straightforward perception of the world and cinema in an attempt to move film theory closer to reality, Moving Image Theory proposes that we should first understand how cinema communicates information about the representation of the three-dimensional world through properties of image and sound. Taking the position that style has a value in its own right, that language forms a major component of the story a nonfiction writer has to tell, Anderson analyzes the work of America’s foremost practitioners of New Journalism—Tom Wolfe, Truman Capote, Norman Mailer, and Joan Didion. Anderson does for nonfiction what insightful critics have long been doing for fiction and poetry. His approach is rhetorical, and his message is that the rhetoric of Wolfe, Capote, Mailer, and Didion is a direct response to the problem of trying to convey to a general audience the sublime, inexplicable, or private and intuitive experiences that conventional rhetoric cannot evoke. Concerned with criticizing representational theories of knowledge by developing alternative concepts of knowing and communicating, Ian Angus and Lenore Langsdorf bring together eight essays that are united by a common theme: the convergence of philosophy and rhetoric. In the first chapter, Angus and Langsdorf illustrate the centrality of critical reasoning to the nature of questioning itself, arguing that human inquiry has entered a "new situation" where "the convictions and orientations that have traditionally marked the separation of rhetoric and philosophy—the concern for truth and the focus on persuasion—have begun to converge on a new space that can be defined through the central term discourse. 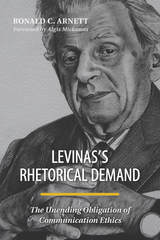 "In these essays, this convergence of rhetoric and philosophy is addressed as it presents itself to a variety of interests that transcend the traditional boundaries of these fields. The two editors, Raymie E. McKerrow, Michael J. Hyde and Craig R. Smith, James W. Hikins and Kenneth S. Zagacki, Calvin O. Schrag and David James Miller, and Richard L. Lanigan map this new space, recognizing that such mapping "simultaneously constitutes the territory mapped." In this, the first thoroughly researched scholarly biography of British actor Junius Brutus Booth, Stephen M. Archer reveals Booth to have been an artist of considerable range and a man of sensitivity and intellect. Archer provides a clear account of Booth’s professional and personal life and places him in relationship to his contemporaries, particularly Edmund Kean and William Charles Macready. From 1817 to 1852 Junius Brutus Booth toured throughout North America, enjoying a reputation as the most distinguished Shakespearean tragedian on the American continent. Still, he yearned for success on the British stage, a goal he never attained. His public image as a drunken, dangerous lunatic obscured a private life filled with the richness of a close and loyal family. The worldwide fame assured for the Booth family of actors by John Wilkes Booth’s bone-shattering leap from the President’s box had eluded Junius Brutus Booth throughout his lifelong exile in America. But from that event until today, no American family of actors has stimulated such scrutiny as the Booths. Eight years of research, pursuing Booth from Amsterdam to San Francisco, has resulted in an accurate, fascinating narrative that both records and illuminates the actor’s life. While baseball is traditionally perceived as a game to be played, enjoyed, and reported from a masculine perspective, it has long been beloved among women— more so than any other spectator sport. Breaking into Baseball: Women and the National Pastime upends baseball’ s accepted history to at last reveal just how involved women are, and have always been, in the American game. 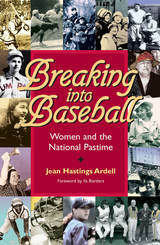 Through provocative interviews and deft research, Jean Hastings Ardell devotes a detailed chapter to each of the seven ways women participate in the game— from the stands as fans, on the field as professionals or as amateur players, behind the plate as umpires, in the front office as executives, in the press box as sportswriters and reporters, or in the shadows as Baseball Annies. From these revelatory vantage points, Ardell invites overdue appreciation for the affinity and talent women bring to baseball at all levels and shows us our national game anew. From its ancient origins in spring fertility rituals through contemporary marketing efforts geared toward an ever-increasing female fan base, baseball has always had a feminine side, and generations of women have sought— and been sought after— to participate in the sport, even when doing so meant challenging the cultural mores of their era. In that regard, women have been breaking into baseball from the very beginning. But recent decades have witnessed great strides in legitimizing women’ s roles on the diamond as players and umpires as well as in vital management and media roles. In her thoughtfully organized and engagingly written survey, Ardell offers a chance for sports enthusiasts and historians of both genders to better appreciate the storied and complex relationship women have so long shared with the game and to glimpse the future of women in baseball. Breaking into Baseball is augmented by twenty-four illustrations and a foreword from Ila Borders, the first woman to play more than three seasons of men’ s professional baseball. Internationally acclaimed as a journalist, war correspondent, interviewer, and novelist, Oriana Fallaci’s public persona reached almost mythic proportions. It is a myth Fallaci herself created, according to Santo L. Aricò, who probes the psychological forces that motivated one of the twentieth century’s most famous and successful women writers. Using his own extensive interviews with the writer, Aricò maps out Fallaci’s journey through life, paying particular attention to her ongoing and painstaking attempts to establish her own mythical status. He first examines her career as a literary journalist, emphasizing the high quality of her writing. From there, he concentrates on how Fallaci’s personal image began to emerge in her writings, as well as the way in which, through her powerful narratives, she catapulted herself into the public eye as her own main character. Examining undergraduate education from the point of view of a philosopher of communication, Ronald C. Arnett takes a positive view of higher education during a time when education is being assailed as seldom before. Arnett responds to this criticism with convincing support of the academy reinforced by his personal experiences as well as those of others scholars and teachers. Arnett's book is an invitation to converse about higher education as well as a reminder of the potential for dialogue between teacher and student, dialogue that the author defines as a "willingness to enter conversation about ideas," to maintain relationships through differences, and to ask value questions. Arnett see education as more than the dispensing of information. He emphasizes the importance of character development as well as the the development of relationships between students and teachers. Arnett stresses the importance of honesty and integrity in students, teachers, and administrators, and he insists that education should focus more on the good of the entire school than on the individual. Arnett does not offer this book as the truth about education nor as a "how to teach" manual. Rather, he regards it as an attempt to understand education from a communication perspective and as a reminder of the positive and constructive aspects of teaching. The book is based on Arnett's belief that educators who care about ideas and people not only improve education but also benefit the community. Martin Buber’s work suggests that real life begins with two individ­uals engaged in dialogue, not just taking care of one’s own needs as described in social Darwinism. Arnett argues that the end of the age of abundance demands that we give up the communica­tive strategies of the past and seek to work together in the midst of limited resources and an uncertain future. Today’s situa­tion calls for an unwavering commitment to Buber’s “narrow ridge” concern for both self and community. Arnett illustrates the narrow ridge definition of interpersonal communication with rich ex­amples. 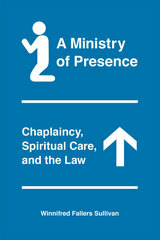 His vignettes demon­strate effective and ineffective approaches to human communi­ty. An effective approach, he makes clear, incorporates not only openness to others’ points of view but also a willingness to be persuaded. Eliot Asinof’s newest baseball hero left tiny Gandee, Missouri, as John Clyde Cagle Jr., a hard-throwing lefthander who had pitched a perfect game in high school. Now he returns in triumph as the legendary “Black Jack,” superstar of the Los Angeles Dodgers, a stoic, menacing mound demon with a Fu Manchu moustache and a 106-mile-per-hour fastball. In a nationally televised event that, like everything else in his life, is precisely orchestrated by agent and money manager Gordon Stanley, Jack’s return is to dedicate Black Jack Field, the two-million-dollar ballpark he has donated to his hometown. He arrives in a white stretch limo, glamorous girlfriend at his side and the world at his feet, but he is stung by a spate of bad memories of his boyhood, most pungent of which is that of Cyrus Coles, his fat black battery mate who had quietly taught Jack the disciplined pitching that had made him great. Typically now, when Jack throws out the ceremonial first pitch to his father, Vietnam war hero, spit-and-polish sheriff of Gandee, everyone believes the father to be the reason for the son’s success. Then Jack confronts Cyrus’s murdered body, blown away by a shotgun blast. He has to face the fury of Cyrus’s widow, Ruby, and, most provocative of all, an outspoken woman named Foxx, who makes him aware that he’s been living a lie. Jack flees this unsettling scene with his girlfriend for the pleasures of New York City—until he learns that, back in Gandee, his father has arrested Ruby for the murder of her husband. To everyone’s astonishment, Jack returns to Gandee to help her. With Foxx now an ally, he sees his hometown for its corrupt racist traditions, bringing on a new understanding of himself that leads him to risk everything to probe an intolerable truth. Scientists who specialize in the study of Mississippi Valley earthquakes say that the region is overdue for a powerful tremor that will cause major damage and undoubtedly some casualties. The inevitability of a future quake and the lack of preparation by both individuals and communities provided the impetus for this book. Atkinson brings together applicable information from many disciplines: history, geology and seismology, engineering, zoology, politics and community planning, economics, environmental science, sociology, and psychology and mental health to provide the most comprehensive perspective to date of the myriad impacts of a major earthquake on the Mississippi Valley. Atkinson addresses such basic questions as "What, actually, are earthquakes? How do they occur? Where are they likely to occur? Can they be predicted, perhaps even prevented?" He also addresses those steps that individuals can take to improve their chances for survival both during and after an earthquake.